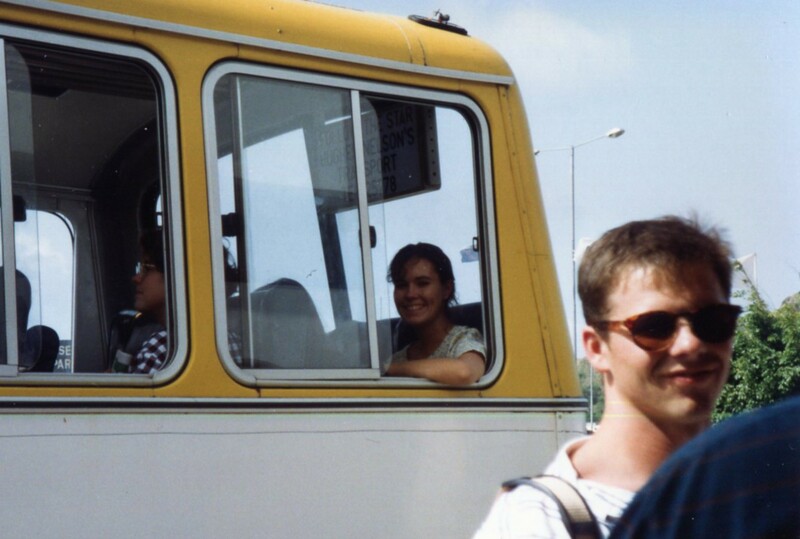 I can’t believe it’s already Peace Corps Week. 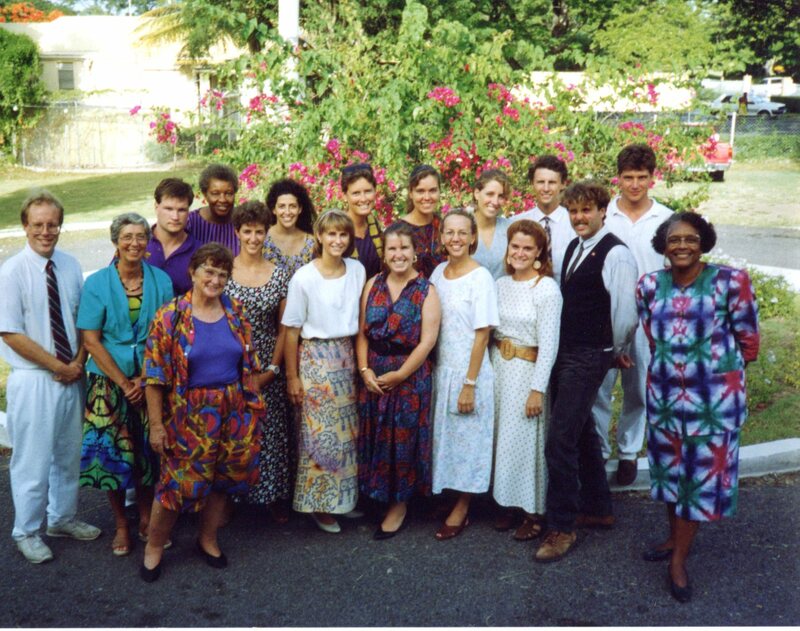 In honor of the “toughest job I’ll ever love” these next 3 posts are dedicated to my 2 years of service, teaching language arts and other teachers on the West Indian island of Antigua. 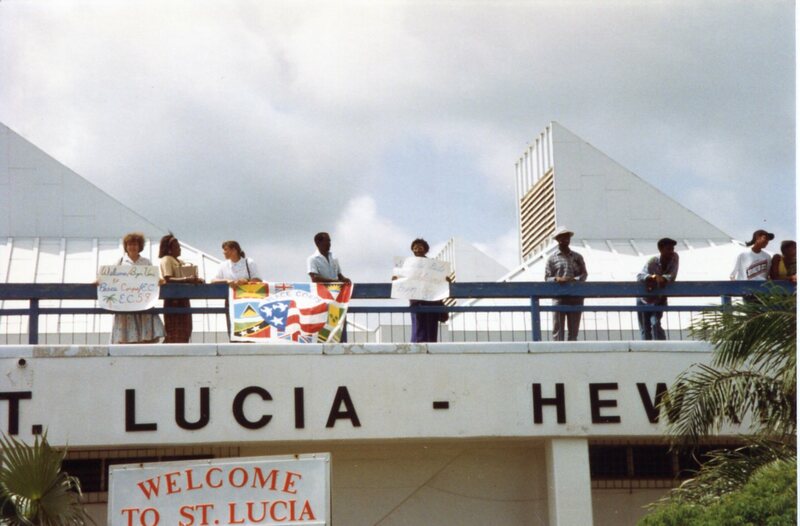 We were called EC58 and there were around 60 of us in our group, heading ultimately to different islands including Antigua, Grenada, St. Kitts & Nevis, Union Island, St. Vincent and St. Lucia. 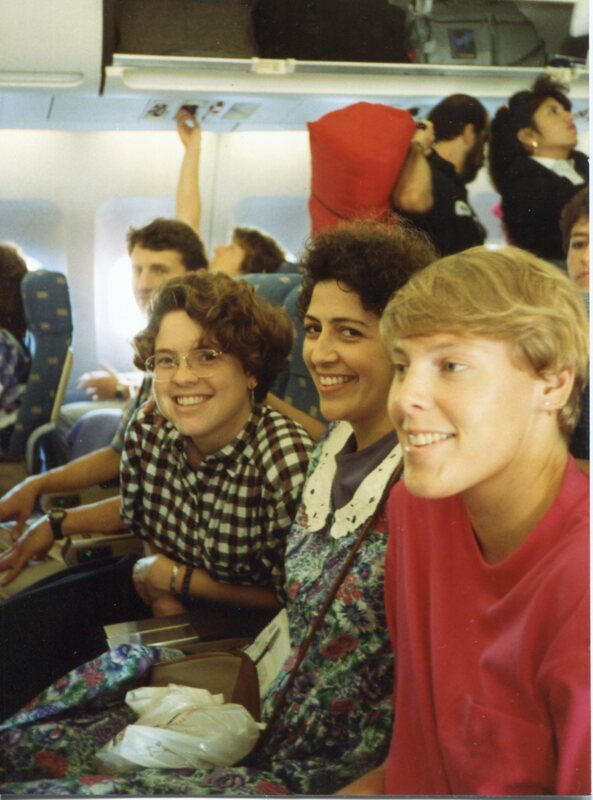 We started our service on July 12, 1992, meeting in Miami for what is called Staging, spending two days making introductions, getting shots and preparing to leave the country. Such an interesting, diverse mix of people in our group, from all over the US. We flew from Miami to St. Lucia for 6 weeks of what is called Pre-Service Training and I remember sitting next to a Cuban businessman who gave me his version of Castro and the Cuban Revolution during our direct flight. I sure didn’t know Fidel Castro had attended Harvard and played decent baseball. When we arrived at the Hewanorra International Airport, Peace Corps Volunteers and Staff welcomed us with signs. We loaded onto large buses with all of our 80 pounds of luggage (each) and drove into the capital city of Castries to meet our homestay families. 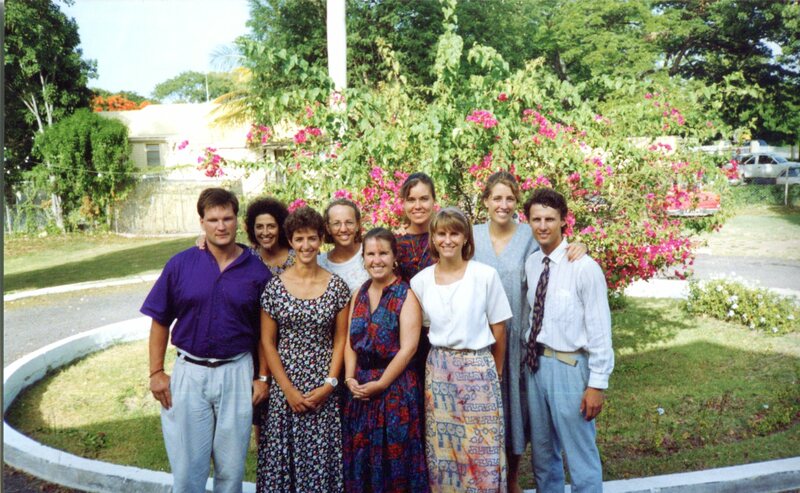 We stayed with Homestay Families during our 6 weeks on St. Lucia and mine were spent with the wonderful couple, Mr. and Mrs. Steele, and two members of their extended family. I had a bedroom to myself and was included in many of the family’s activities. We had training sessions Monday thru Friday, giving us not only a chance to train for our programs, get a start on learning local dialects or patois, and learn about the ins and outs of local culture, but also bond with the rest of the volunteers in EC 58. This meant we would have new friends to visit and stay with when we island hopped on vacations and for workshops during our service. Great times, but it sure was hot! After 6 weeks of Pre-Service Training, we headed off to our separate islands for another couple of weeks of more island specific training, meeting the ‘seasoned’ volunteers who had already served a year, living with another family of homestays, meeting our counterparts, exploring the island and finding living situations for ourselves. We wrapped up this period with a formal swearing in ceremony. We were officially Peace Corps Volunteers!!!!! This entry was posted in Living Life Fully. Bookmark the permalink. I think we are both “tethered” to our Peace Corps group and experiences!! God, we look young in St. Lucia!!!! !